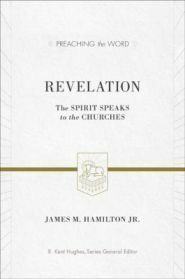 Revelation: The Spirit Speaks to the Churches | James M. Hamilton Jr. In the book of Revelation, God unveils the world as it really is, identifying an unseen spiritual war and announcing a very real day of judgment. We need to be convinced that Jesus is reigning as the risen King. We need to see how He speaks to the situation in our churches. We need to see how God will pulverize wickedness, obliterate those who oppose him, and set up his kingdom. 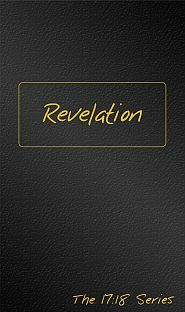 Revelation has exactly what we need. 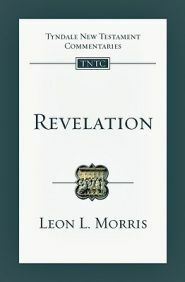 Useful for personal study, as well as for preaching and teaching (Hamilton even includes helpful charts and tables to highlight key themes and literary elements), the message of this volume genuinely grabs the reader’s attention, raises awareness of a real need, and states the main point of the chapter. In the book of Revelation, God unveils the world as it really is, identifying an unseen spiritual war and announcing a very real day of judgment. We need to be convinced that Jesus is reigning as the risen King. Every one of us needs to see how He speaks to the situation in our churches. We need to see how God will pulverize wickedness, obliterate those who oppose him, and set up his kingdom. James M. Hamilton Jr. (PhD, The Southern Baptist Theological Seminary) is professor of biblical theology at The Southern Baptist Theological Seminary and preaching pastor at Kenwood Baptist Church. 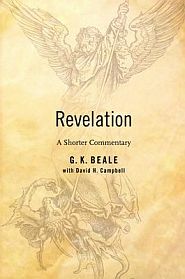 He is the author of God’s Glory in Salvation through Judgment and the Revelation volume in the Preaching the Word commentary series.